The resources and expertise of the Texas School for the Deaf are here to be shared with students who are deaf and hard of hearing, their families, and professionals anywhere across the state. ERCOD is the TSD department that provides this outreach. 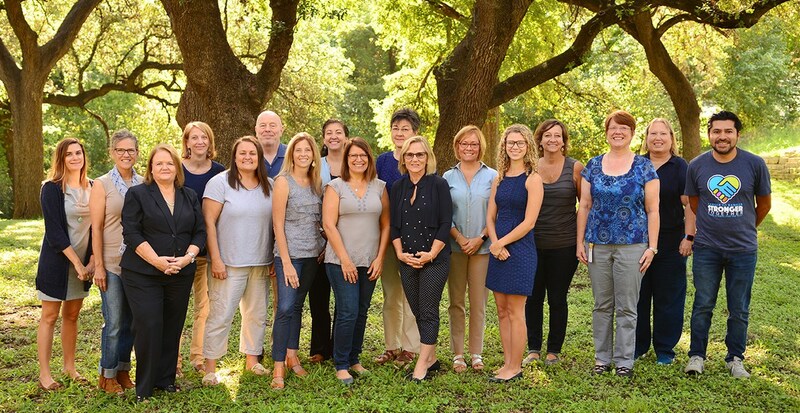 We also work collaboratively with a variety of agencies, family-focused groups, and schools across Texas to provide a network of support, information, and resources for those who need it. Some services are provided on the TSD campus while others are offered in your local areas or even in your home or classroom via video conferencing or online resources. 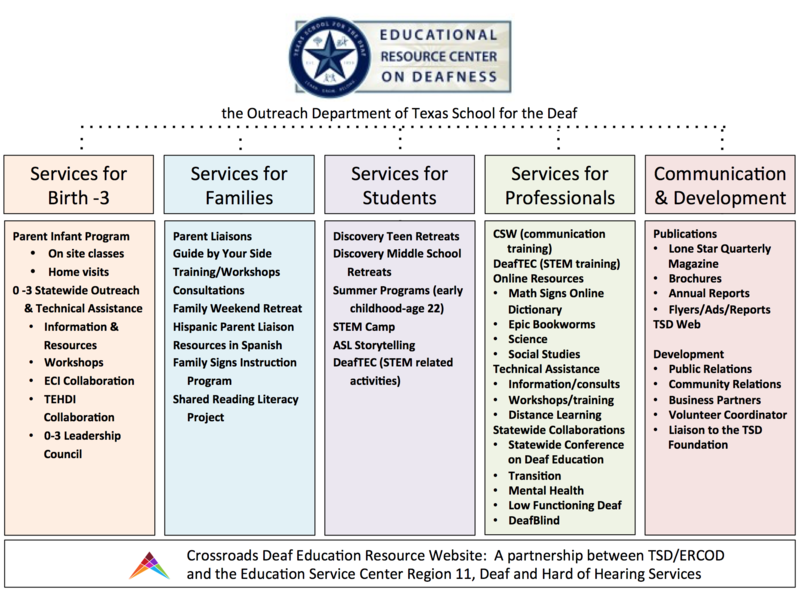 ERCOD programs, information about Deaf Education in Texas, and other related services statewide can be found at Crossroads – a collection of resources compiled through a partnership between TSD/ERCOD and Education Service Center Region 11, Deaf and Hard of Hearing Services. To direct you to the appropriate agency, program, service, information or resource needed to serve deaf and hard of hearing students anywhere in the state. To provide programs and services designed specifically for families and their deaf and hard of hearing children (birth – twenty-two) who attend schools and educational programs throughout Texas. To deliver training for professional development and support. To create resources and materials readily available to you online. To extend access to ERCOD resources, programs, and services through events in a variety of locations statewide and through technology for video-conferencing opportunities. To collaborate with programs throughout the state to provide the most effective and efficient services. To increase awareness that each deaf and hard of hearing student can achieve his/her full potential when provided appropriate educational opportunities. We stand by ready to assist you.